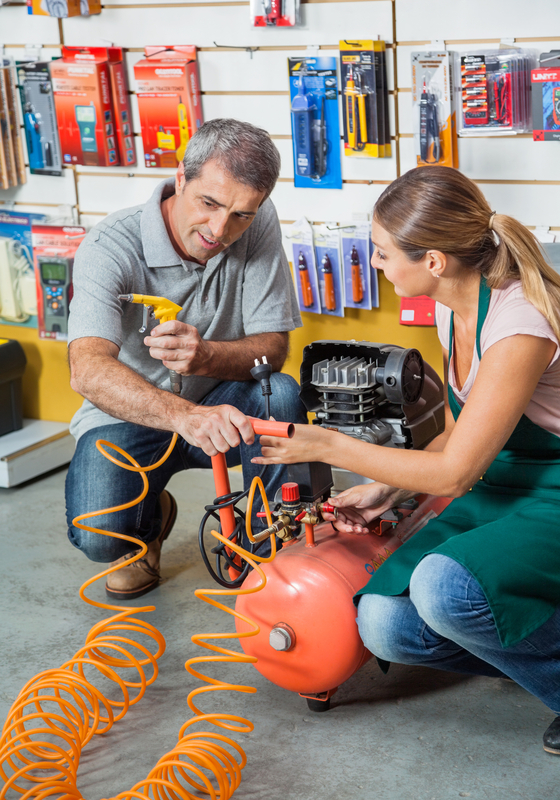 From filling up your car’s tires to firing a nail gun, air compressors have countless practical applications. However, to run properly, they need lubricant—much like the engine of a car. This fluid allows the metal pieces inside this mechanism to function smoothly, reducing friction and maximizing efficiency. Most air compressor lubricants can be divided into two categories, conventional and synthetic, but which one is best? Use the following guide to understand your options. What’s the Difference Between Synthetic & Conventional Air Compressor Lubricant? You might consider natural resources to be superior to their synthetic alternatives, and this is often true when it comes to goods like food or fabric. However, synthetic oils are derived from raw oils, then stripped of impurities through an intense filtering process. When it comes to machines, clear, synthetic oil can do a better job than the real stuff. Which Is Better for My Air Compressor? Synthetic air compressor lubricants are cleaner than natural ones, so they won’t clog up your compressor’s parts with dirt and grime. The synthetic variety also lasts longer, and it isn’t as vulnerable to contamination. Despite the extra filtering process, synthetic air compressor lubricant is often cheaper than conventional types. In addition to the upfront cost, you’ll save money on mechanical repairs, as your air compressor’s lubricant supply won’t have to be changed as often. Since it contains fewer contaminants, you’ll also have to replace the filter less frequently, so you can save time in addition to funds. Because your machinery can last longer on cleaner oil, you’ll also spend less money on the lubricant in the long run. If you’re interested in obtaining synthetic air compressor lubricant, get in touch with Industrial Compressor Supplies of Maryland Heights, MO. In addition to oils, they also offer replacement parts for all major air compressor brands, and they can help you find the component you need. For more information on their offerings, visit the website. You can also call (877) 426-3131 for 24-hour help in the St. Louis area.